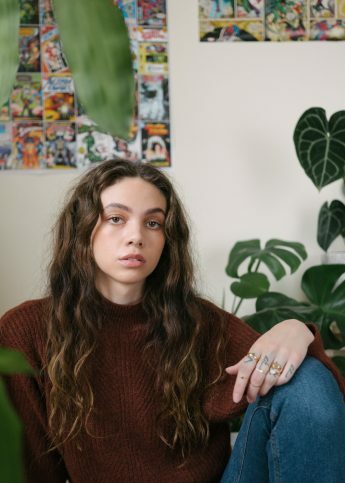 The London-born, Brighton-raised soul babe on honesty, pain and connection. There’s nothing more potent than the quiet determination of an artist on a mission. And that much is clear when clocking the homegrown talents of Grace Carter. London-born, Brighton-hailed, the singer was raised on a heady cocktail of Nina Simone and Lauryn Hill, teaching herself to play piano via YouTube tutorials and penning songs in her bedroom. And the result is a soulful pop pow, soaring with deeply heartfelt lyrics and rooted with Carter’s husky vocals. 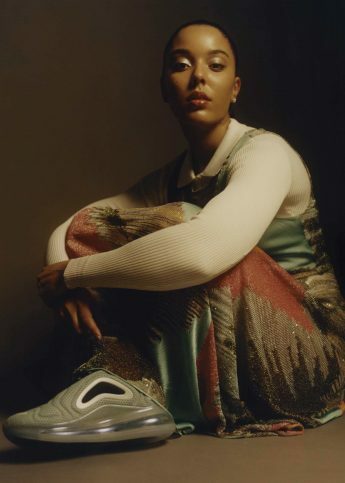 And with raw talent like this, it comes as no surprise that YouTube Music has tapped the artist for their first ever “Ones To Watch” artist spotlight (as well as other big-movers including Kojey Radical and Mahalia). Tell us how you first got into music. I’ve always loved singing. I joined a church choir when I was in primary school and that’s where I found my love for harmonies and singing but it wasn’t until I wrote my first song that I decided music was something I wanted to pursue. I met my stepdad and he bought me a guitar for my 13th birthday and challenged me to write a song in a week. I haven’t stopped since. I’ve listened to a lot of female voices as a kid. I’ve always loved artists like Alicia Keys, Lauryn Hill and Adele. I was fascinated by the emotion they put in to their music. They definitely gave me the confidence to be honest in my own music. How do you think growing up in Brighton influenced your music? I moved to Brighton from London when I was 9. It was a good move as we had very close family friends that had moved there too and we kind of went for a fresh start. It was definitely a very different vibe to what I was used to but the slow pace was good for me. I started writing songs when I lived there so I guess it influenced me in some ways. There were also loads of very talented people that I met through doing little gigs when I was super young. I actually met Rag’n’Bone Man at a gig I did when I was 16 and then this year I got to tour with him around Europe which is pretty cool. Where do you get inspiration for your music from? My life. Every song I’ve ever written has been about an experience I’ve had or something I’ve felt, it’s the only way I know how to write. How does it feel to be selected as an artist in YouTube Music’s One To Watch? Amazing! This year has been incredible and getting a nod from a massive platform like YouTube tops it off. With your song “Why Her Not Me” you said, “I wrote this song about my father choosing another life instead of me.” Is it scary putting out music that is so personal? It can be scary sometimes but if anything it’s just super rewarding. I started writing songs when I was 13 about the fact I grew up without my dad and half of my family, I held on to a lot of anger and hurt through my childhood but writing it down allowed me to overcome a lot. Being so honest with my music is all I know how to do. With ‘Why Her Not Me’ I wanted to share the story behind the song as I know a lot of people have experienced a similar thing and there isn’t really a song for it. ‘Why Her Not Me’ is a song I needed when I was a kid to realise that I wasn’t alone and since putting it out the amount of messages I’ve had from people connecting to the song has been overwhelming. You’re signed to the same management as Dua Lipa and Lana Del Rey – do you think it’s a good time for women in the music industry right now? Yes! I feel so empowered as a 21-year-old girl knowing that I can write my treatments for my videos and collaborate on the production of my songs and it’s always celebrated. I heard you’re actually friends with Dua Lipa – do you think it’s important to build up other female artists in the industry? 100%. I’ve had the opportunity of touring with lots of amazing women this year such as Dua Lipa and HAIM and the support amongst everyone has been incredible. I toured with Dua Last year and ever since she’s been so supportive of me and every piece of music I’ve put out. What’s the nicest feedback you’ve ever had about your music/lyrics? My biggest goal is for people to connect to my music and feel something from it. Whenever I get a message along those lines it puts a huge smile on my face. You’ve got amazing style – where do you look for inspiration? I love a lot of 90s fashion and I love wearing suits. I look at old pictures of my favourite artists but mostly I just wear what I’m going to feel comfortable in, especially when I’m on stage. If you wear something with confidence I think you can pull anything off. I’ve just finished my first headline tour around the UK and Europe which has been out of this world but next I’ll be releasing some new music and I’m spending the whole of December in the studio recording. I can’t wait to share more of myself with people and hopefully get back on the road soon. We have so many exciting things coming in 2019 and being made one of YouTube Music’s “Ones To Watch” is a great start!